When buying a diamond, the term ‘fluorescence’ isn’t one you’ll often hear. You’ll be used to reading about cut, clarity, colour and carat weight and through your research you’ll know their importance. Seeing or hearing the word fluorescence however could well be new to you so it’s a good idea to know what it means and how it could affect your choice. 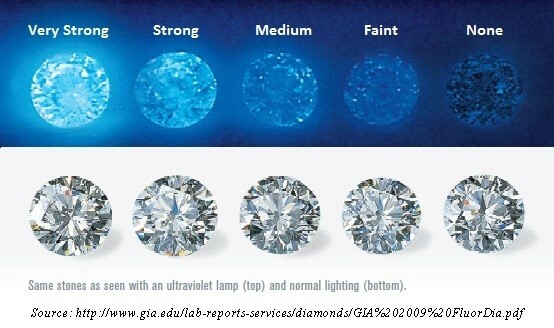 When a diamond is subject to UV light, it can luminesce; that is light of different colours becoming visible in different hues and strengths. Every diamond is different and each one will have a unique level of fluorescence from virtually none all the way through to very strong. UV is present in many types of lighting environments such as natural sunlight, light bulbs and the black lighting you may experience in a bar or night club. Many diamonds have fluorescence to some degree. The large majority will be blue but on rare occasions there have been examples of white, orange, yellow or red being seen. The presence of fluorescence is part of the character of the stone rather than being a performance characteristic. Diamonds are created from a complex structure of submicroscopic elements of which nitrogen is one of them. If the atoms of nitrogen are arranged in a specific alignment within the stone, then fluorescence will take place when it is placed under UV light conditions. The UV ‘excites’ the atoms and the only way the nitrogen can return to its normal state is to release the energy it has created. This happens through emitting light in the form of fluorescence. We then see this with the naked eye. I have been told fluorescence is an undesirable quality to a diamond: Is this true? Over the last few decades, fluorescence has been subject to both a great deal of debate in the diamond industry as well as a number of research studies. The outcome is that there’s a great deal of misunderstanding and misinformation out there but the rule of thumb is that if you want a high quality diamond then avoid buying one with Fluorescence. Diamonds which have high levels of fluorescence often have problems. They can appear smoky, cloudy or milky and when worn in environments where there are UV lights such as a nightclub or cinema, they will glow brightly. This isn’t how a high quality diamond would react and in fact some artificial diamonds also have this characteristic which could lead the wearer to wonder what is actually sat in the centre of their engagement ring! Because of the inherent problems associated with fluorescence, they tend to be discounted in price – as much as 20% – if they have high or very high levels of fluorescence. How is fluorescence discovered when diamonds are being assessed? As part of the grading report, a diamond will be viewed in very specific lighting conditions. In the vast majority of cases a piece of equipment is used to create the environment, but there are some parts of the world – such as at the Israel Diamond Exchange – where natural light from a northerly direction is used by experts to look for the amount of fluorescence. Diamond fluorescence which is assessed in a laboratory uses of a set of master stones with known degrees of fluorescence. This is combined with the diamond being viewed at specific angles to give a standardised result each time. What are the different grades of fluorescence? It is important to note that some jewelers view the haziness that fluorescence can cause as a “yes” or “no” question which technically isn’t correct as there are different grades of haziness. The term ‘overgrading’ when mentioned with fluorescence: What is this? Until the mid-1990s, many diamonds were graded using equipment which at the time was thought to block out the UV and so create natural daylight conditions to give a true idea of the colour. It was then found that this was not the case and UV was – in some situations – giving the diamond a better colour grading. This was because fluorescence was unknowingly taking place and the diamond looked whiter than it actually was. This was especially true for lower grade colour stones with strong fluorescence because the UV removed the yellowing of the stone and instead it looked white. Since that time, practices – and equipment have changed. Gemologists today use lighting in their equipment which is as close to natural daylight as possible. 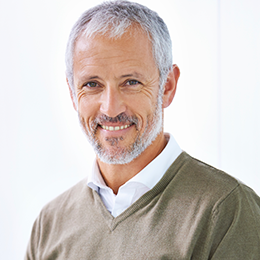 The industry term is unfiltered UV-containing fluorescent lighting and whilst inconsistent grading can still take place because of variables in the UV lighting itself, it’s much less likely to happen. All diamonds have unique qualities and it’s important to use your knowledge of the 4C’s as well as your knowledge on fluorescence when selecting one. If you are looking to purchase a very high quality, ideal cut stone with no fluorescence, then head to Whiteflash or James Allen.